I accidentally pushed the wrong button, should I undo it? Well I was just searching for reviews on this put it in my cart thought I deleted it, next thing I know I get a e-mail confirmation of my purchase. What to do, I'm happy with my A&M vinyl copy from when it was released back in 79 sounds great. How many of you have this? I'm looking for some reassurance ,and a pep talk from some of you that have this before I cancel this. I know this is no Crisis What Crisis, or Crime Of The Century, is this Mofi SACD of thier 3rd best album worth it? What you all say anyone going to talk me out of it, or convince me it's worth a purchase? Proper etiquette on this site is to allow people to spend too much of your money. Please refrain from asking people to help you not spend money in the future. I rip all my SACD's using an Oppo BDP-105, served from Roon ROCK to PS Audio DirectStream DAC, sans preamp to an upgraded Parasound HCA-1500A feeding fully modded 1.2tl's. I run Roon and make a playlist of each song. Easy to A/B. My gear is somewhere on the Atlantic Ocean (on a ship ) but I had one day with the SACD prior to packing. The brief evening I had with it I was able to A/B each version. I'd say my initial impression was cleaner presentation and tight bass. Sound stage was a bit more open. I have the Crime of the Century and Live in Paris Bluerays, which I really like, and did lots of reading on reviews of BIA and previous versions. Steve Hoffman forum had lots of opinions on past versions...no clear consensus. So, although I have on older CD copy, I purchased it because I'm a Supertramp fan. One thing I learned is you can't get many SACD titles if they end up out of print. Well, you can, but at stupid prices. The Blueray version of BIA had very mixed reviews....many negative. The SACD's worth the gamble and, based on my short time with it, recommended. The LP that lives here is kind of brittle sounding -- tending towards that brightness that plagued 80s pop rekkids. Speaking of Breakfast in America -- for reasons that are too abstruse to recount here I happened last night to read a contemporary review of it in Stereo Review that was uncharacteristically snarky (though perhaps not inaccurate). Mind you, I do like the album... but it was pretty... commercial. ^^^^ FWIW, so were The Beatles albums. I rarely use my phone to post. I had written more than was shown. Wonder where it all went? I too have been reading the music reviews of the 1970's in Stereo Review from the link mrh posted a few weeks back. Thanks again for sharing it, here's the link again. Their reviews of many of the albums, most of us really enjoy, were given "meh" or worse reviews back in the day. Really poor reviews at best, most were too short, one word used for Performance, one for Recording. I subscribed to SR during the 70's and even back then I felt they were so off base on many of their so-called reviews. Even DSOTM was slighted somewhat along with many other bands. After reading through many of them anew in the past weeks it all came back again but somewhat funny. They seemed to lend more favor towards individuals and some obscure artists, rather than popular bands. Keep it, it's always good to have an un-mucked with copy. This way there's less wear and tear on the vinyl. Love that album. Keep it. 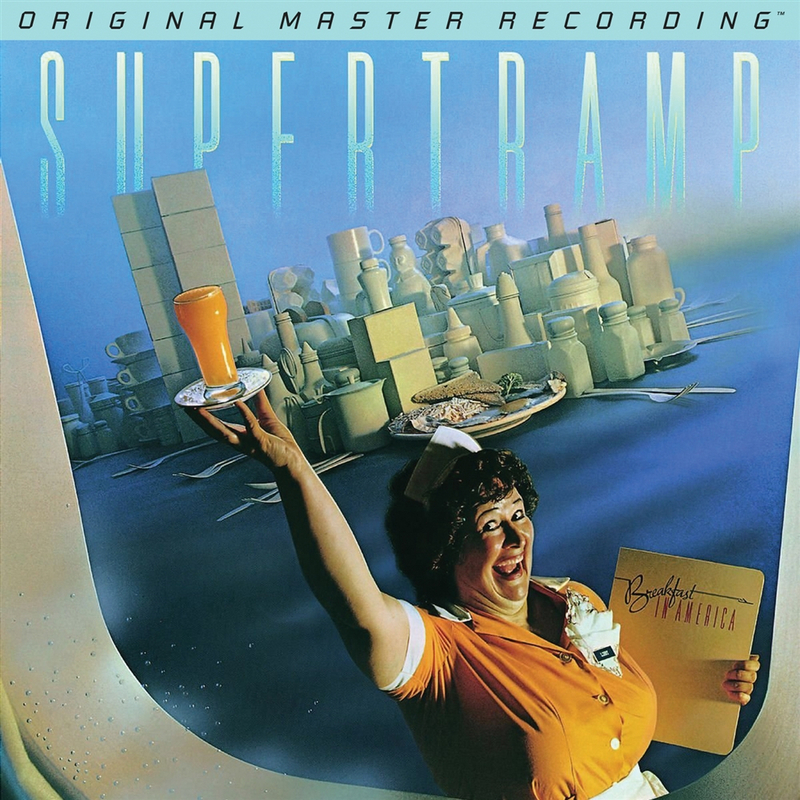 I have never owned any Supertramp, was never into them, I have seen this album a thousand times throughout the years but never “really” looked at it, I just now realized the plane window looking out over New York, and the waitress is the Statue of Liberty... LOL!!! HAHAHAHA That's hilarious, Larry! I noticed the same exact thing for the first time yesterday. It was like the first time you notice the girls on the cover of The Alan Parson Project's album "Eve" have stuff on their faces behind their veils. Figure I will just keep it as most of the reviews, I have been reading are favorable. I'm looking forward to its arrival. 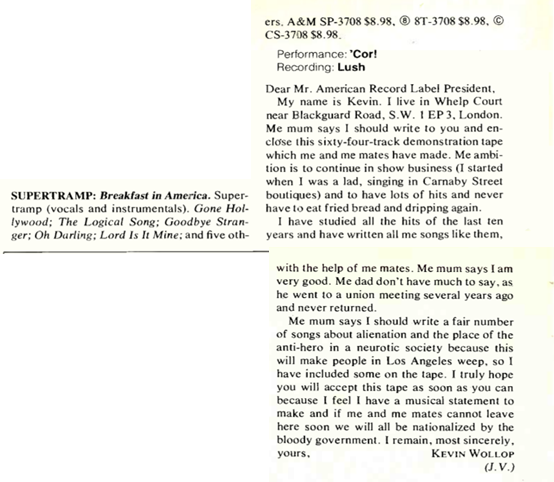 Supertramp's Even in the Quietest Moments and Crisis? What Crisis? are well worth evaluation, I would opine (with characteristic humility). Crime of the Century, too. If you end up not wanting, hit me up, I will take it off your hands and give it a spin, I will pay you for it of course..
$0.74 and a banana peal. I was gonna let it go, but then I realized Viking wouldn’t when he saw it, so I decided to call it out. You should be glad, because I’m much more forgiving when it comes to grammar than Viking. One of my favorite albums of all time. Ahh! He's recruited a minion! Not quite. I was trying to save you from the mocking and unending nagging from @Viking64 , by getting it over with in a way that is better for everyone... except for Viking. It showed up today #001195 come on Mofi not really digging the Digi Pac type case, but wow what a sonic marvel. I thought the Original A&M LP sounded good, this just sounds phenomenal the highs are somewhat subdued compared to the LP which is a good thing, tight punchy bass a perfect example of what I expect a MOFI SACD to sound like. 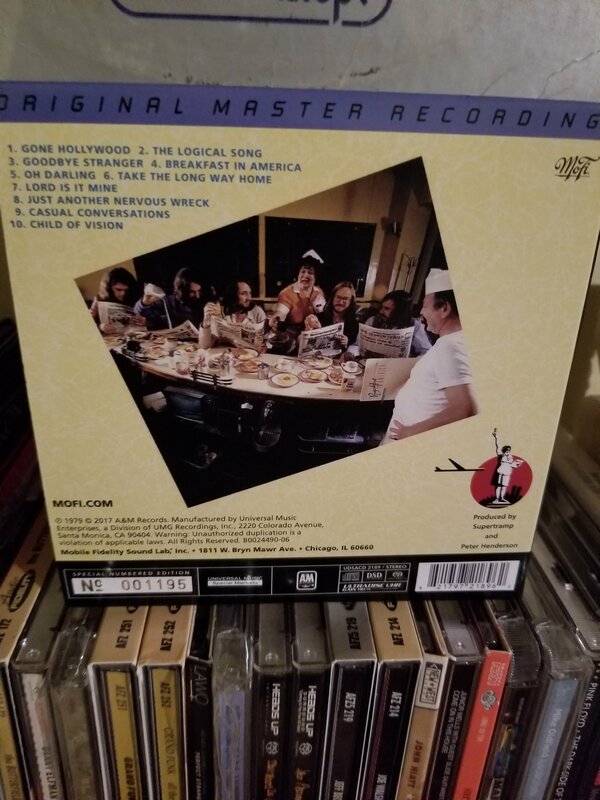 It's a keeper might as well frame the LP and hang it on the wall as I wont be listening to it again with this in the collection. Yeah, that would be a good thing -- I remember the LP being kind of icepick-in-ear bright, though I haven't spun it for a long time. One of my favorite SACD's. Enjoy!